World Metal LLC has been successfully certified through third-party onsite verification for the 5th cycle (January 1, 2014-December 21, 2016) as of June 18, 2015. 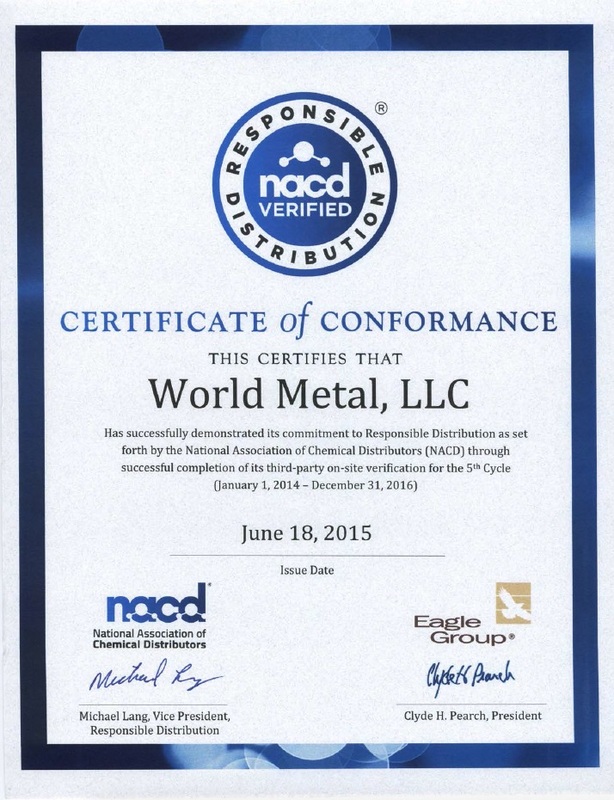 World Metal LLC successfully demonstrated its commitment to Responsible Distribution as set forth by the National Association of Chemical Distributors (NACD). ⟵We have a new website!